While I love a huge variety of makeup looks, the classic cat eye flick is right up there on the top of my love list. Liquid liner can be a tricky thing, especially the cream and gel ones. I have a review of felt tip liners and liner pencils, but it was time to try the pots. 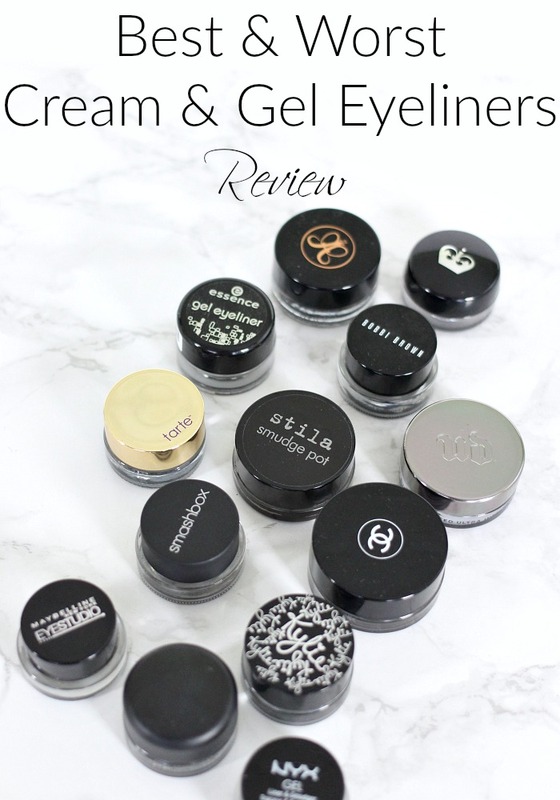 So I’m bringing you the Best & Worst Cream & Gel Eyeliners Review…. Are you a cream or gel liner fan? Do you have a favorite? I also have reviews of my brighteners here, concealers here, neutralizers, primers, powders, setting sprays, foundation brushes, blushes, highlighters, bronzers, brows, waterline liners, eye pencils, liquid liner, drugstore mascara, high end mascara, liquid lipsticks, Pore Minimizing Primers, Illuminators, stick foundations, powder foundations lip liners, drugstore lip glosses, & high end lip glosses. 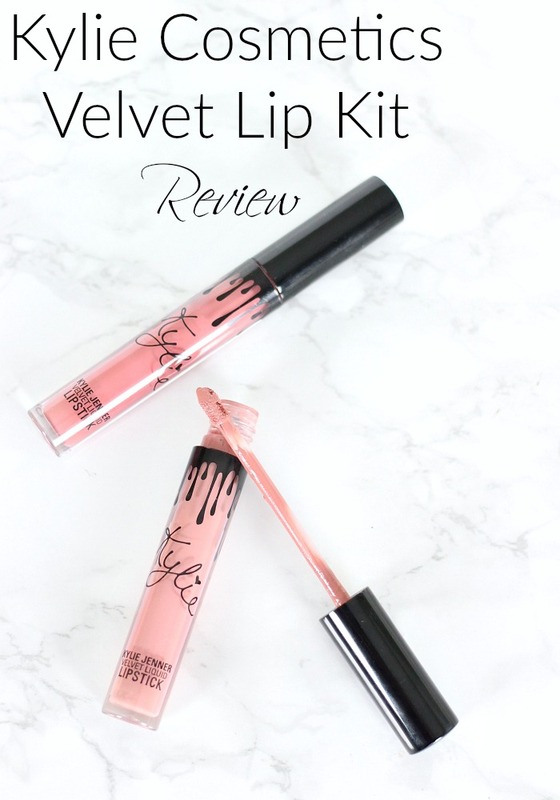 Have you tried any of the Kylie Velvets? Do you have a favorite Kylie Cosmetics products, new or old? I also have reviews of my brighteners here, concealers here, neutralizers, primers, powders, setting sprays, foundation brushes, blushes, highlighters, bronzers, brows, waterline liners, eye pencils, liquid liner, drugstore mascara, high end mascara, liquid lipsticks, Pore Minimizing Primers, Illuminators, stick foundations, powder foundations, Lip Liners, drugstore lip glosses, & high end lip glosses. As I mentioned in my Drugstore Lip Gloss Review, I’m not a lip gloss fan. However I’ve been trying to find one that would convert me. 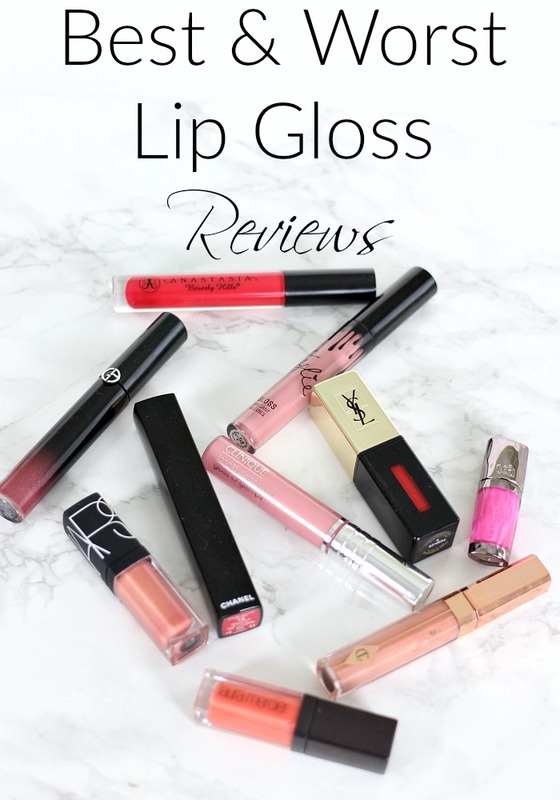 So I tested some high end options this time to bring you the Best & Worst Lip Gloss Reviews…. Are you a lip gloss fan? Do you have a favorite lip gloss? I also have reviews of my brighteners here, concealers here, neutralizers, primers, powders, setting sprays, foundation brushes, blushes, highlighters, bronzers, brows, waterline liners, eye pencils, liquid liner, drugstore mascara, high end mascara, liquid lipsticks, Pore Minimizing Primers, Illuminators, stick foundations, powder foundations & Lip Liners. When a hyped makeup product like highlighters meets a hyped celebrity makeup brand like Kylie Cosmetics, the makeup world goes into a hype overload. 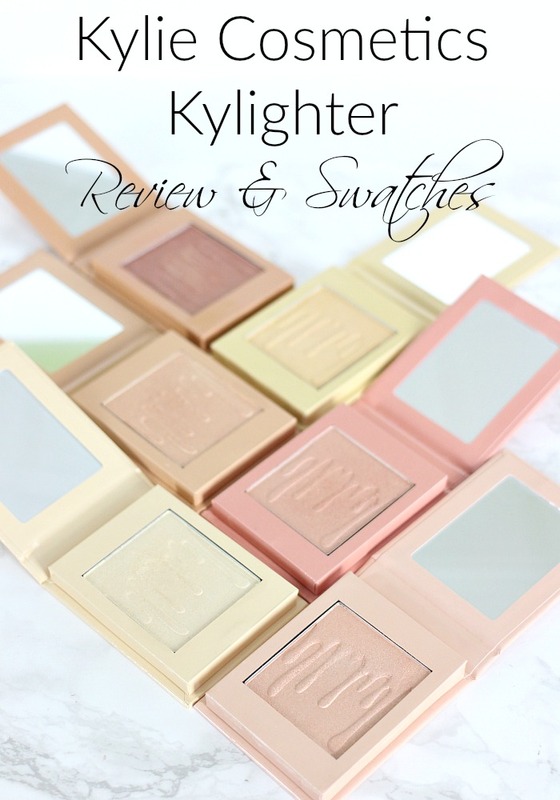 So when Kylie released her Kylighters I had to collect them all and try them out to give you a Kylie Cosmetics Kylighter Review & Swatches…. Have you tried the Kylighters or any other products from Kylie Cosmetics? What is your favorite product from Kylie Cosmetics? What is your holy grail highlighter? March 2017 A List & D List | Juvalips Review: Best Lip Plumper? I’ve never been happier that March is over. Not that anything all that bad happened in March, but I am desperate for April to bring some Spring. I’m looking forward to brighter lip colors, floral prints, and outdoor workouts. 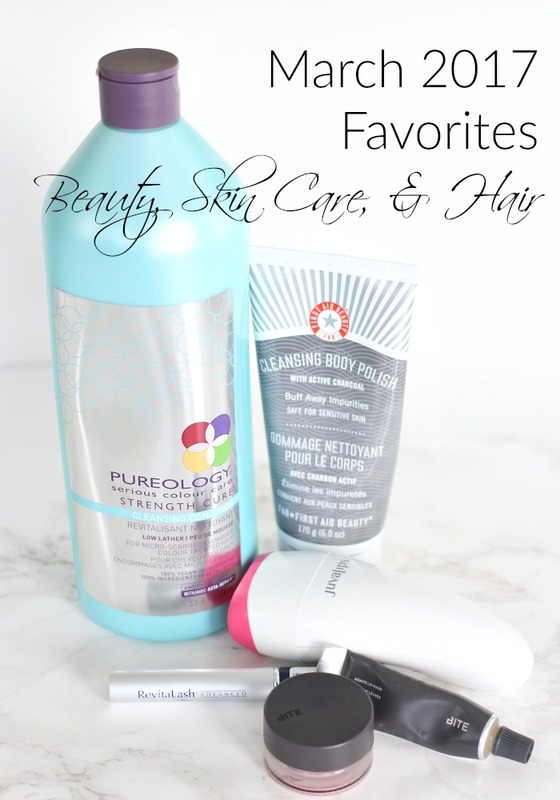 I wanted to share the things I’ve been loving this past month, and I realized they are mostly skin care related. I guess I’m trying to will it to be Spring by prepping my skin for lighter clothing. I’ve also been a little obsessed with lip care lately and searching for the best lip plumper, and I’ve been trying to be more gentle with my color treated hair. So here’s what I’ve been loving for the month of March…. 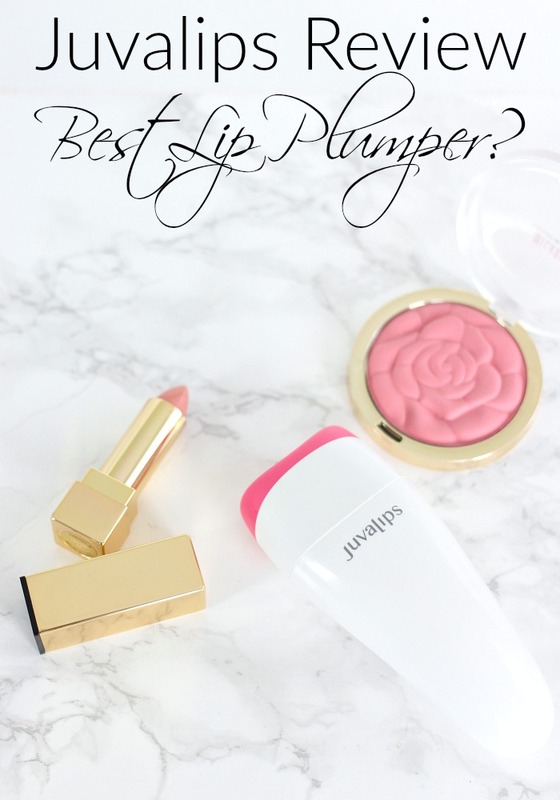 …and if you’d like to check out my new favorite lip plumper you can try Juvalips. What have you been loving or loathing for the past month?